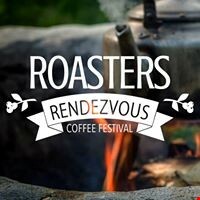 Coffee geek out this September 8th at the 1st Annual Roasters Rendezvous. We have a full day of fun, interactive workshops taught by experts at Snake River Roasting, Brown Sugar Coffee Roastery and Skyway Roasters. In this brief, hands-on class you'll learn how the farming, roasting, and brewing all can impact the aroma of each cup. Using your own sniffer, you'll train your brain to recognize dozens of recognizable aromas that are present in different coffees. Brown Sugar Coffee Roastery will walk you through all the components that make up the coffee tasting experience: fragrance, aroma, mouthfeel, aftertaste, and more. Taste your way through a line up of single-origins and roasts using professional standard tasting cards. Ever wonder where your coffee comes from? The journey from a single cherry to your favorite mug is quite the trek. Understand what all the hype is with "Fair Trade Certified" and discover an appreciation for every bean in the bag. Chemex, Flair Espresso, and Toddy Cold Brew are just a few of the ways roasters and baristas like to consume their coffee. Cody Thomas of Skyway Roasters will demonstrate 6 different methods to brew great coffee in the comfort of your own home. Are you a barista wanting to enhance your skills at the machine? Snake River Roasting's expert trainers will unlock the keys to making top-notch specialty beverages. You'll walk away with a deep understanding of your tools and machine, how to pull the perfect shot and steam milk to frothy perfection (all needed to pour latte art). So you want to be able to make your own lattes and americanos at home? This class will teach you all the elements to being a home barista: 1) how to prepare espresso, 2) steam milk and 3) clean and maintain your machine for years to come. Ben Elzay will be showing people how easy it is to roast coffee at home. All you need are green beans, a Whirly pop popcorn popper and a gas burner. ***VIP TICKET REQUIRED to participate in these workshops. Click here to purchase. Venue: CWC's Intertribal Center located at 2660 Peck Ave. Kick off party Friday, September 7 from 4PM - 7PM at Bar 10 and the Farmers Market. Call 307-851-8109 for questions or message us on Facebook.